What experiences do we bring to the executive table? 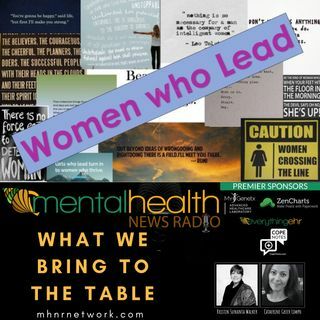 Join hosts Catherine Greer Limpo and Kristin Sunanta Walker as they discuss the hidden scars, traumas, joys, and life that we walk into a meeting with as female leaders. Catherine Greer Limpo is a listener of a few shows on MHNR Network. She is also a mom, a friend, a leader, a professional, a mentor, a daughter, a sister, and most importantly, a mistake-maker. She has a deep desire to understand how we, as women, connect to one another and ... See More to our world as leaders. She identifies as an Oregonian, and is very thankful to live in and enjoy the Pacific Northwest with all of the outdoor beauty it has to offer.